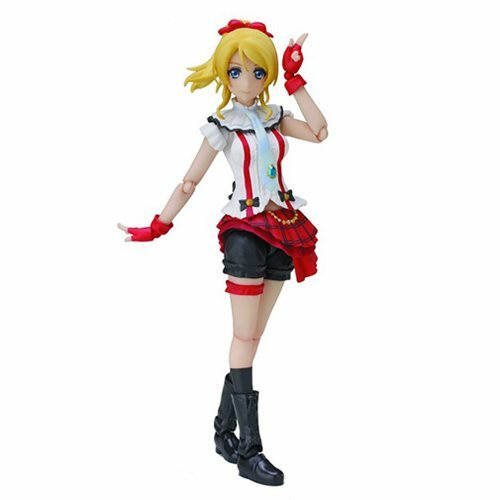 From everyone's favorite animated school idol project, Love Live!, comes the adorable Eli Ayase making her debut with SH Figuarts! Eli appears dressed in her plaid "Bokura wa Ima no Naka de" costume. She also comes with four beautifully painted interchangeable facial expression parts, 14 interchangeable hands, and a special stand! Ages 15 and up.